Finn Harps manager Ollie Horgan insists the pressure is all on Dundalk as the league and cup winners provide the opposition in Harps’ first home game of the new season on Friday night (kick-off 8pm). Horgan said Harps have nothing to lose as they get set to welcome the title favourites to Ballybofey. And he’s hoping there’ll be a big crowd in Finn Park to see if his team can upset the odds. 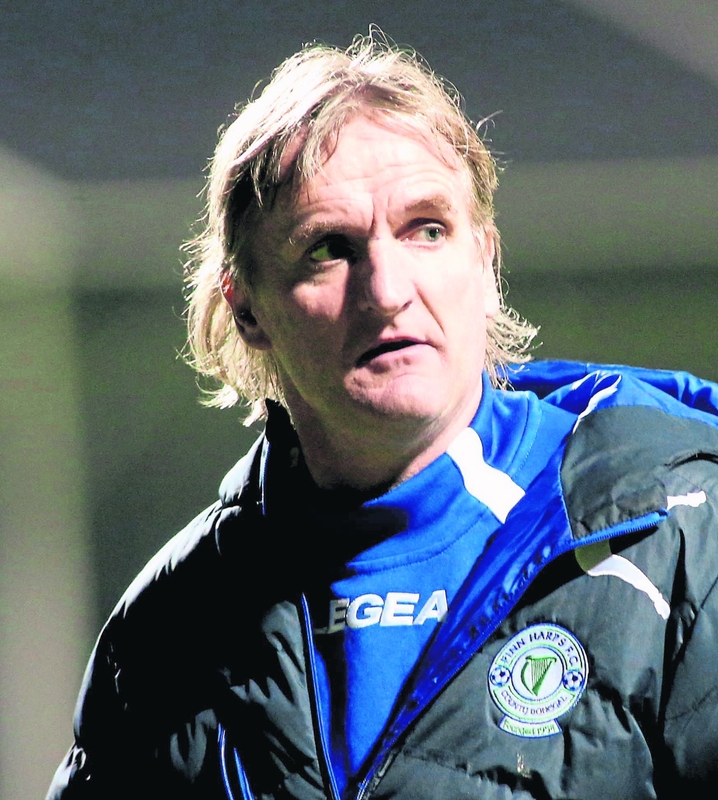 “It’s great to be talking about Dundalk again, and the fact that they are coming to Ballybofey,” the Harps boss said. “It’s been two years since they were here and we’re looking forward to it. “We have nothing to lose in any manner. We haven’t scored against them in the last four or five years, be it cup or league. We haven’t got a point against them either. Harps' preparations for Friday night's game have been boosted by the arrival on loan from Shamrock Rovers of Sean Boyd. Harps and Dundalk did meet last season when Dundalk won their FAI Cup meeting in Oriel Park. That was the only blemish in a long unbeaten run as the Donegal side battled their way back into the Premier Division via the play-offs. But now Harps are back among the big boys again and they don’t come much bigger than tomorrow night’s opponents. “We need to be at our best and be hopeful that they are way off the mark to get a result,” Horgan added. There are likely to be changes to the Harps team that played against Bohemians last weekend with goalkeeper Ciaran Gallagher among those in line for a return. The Harps stopper was given last weekend off as he was on his honeymoon. Horgan was pleased with aspects of his team’s performance, despite the 1-0 defeat to Bohs. However, he said the second half display wasn’t good enough to merit a result. Harps will be back in action again on Monday night when they make the trip to play St. Patrick’s Athletic. Asked if he had one eye on that game as well, Horgan said he was concentrating more on Dundalk for now. “We don’t know what we have available for Friday,” he said. “Obviously there are some players who won’t be able to play 90 minutes both Friday and Monday. But we’ll see what we’re like on Saturday morning. “If you had everybody fit, you could maybe chop and change and prepare for St. Pats as well. But we don’t, and we need to get through Friday and see where we are at on Saturday morning. “But we’re not in bad nick. We have a couple of players out injured, but it’s only a couple. It’s not six or seven like what you might have later in the season. He’s also hoping for a big crowd on Friday to see his new-look side in action at home for the first time this season. “There’s a new team there,” he said. “It will take a while for us to get up and running. Dundalk put out their regulars, their starting eleven last weekend was the cup final team that played the year before. “We’re very much a new-look side. Good lads, no world beaters, but good lads. It will take time and it will also take supporters to back those players, especially the younger ones.